We recently came to know about the rather interesting fact that Jeff Bezos was selling $1 Billion of Amazon stock annually in order to sustain the operations of Blue Origin, his space venture company. 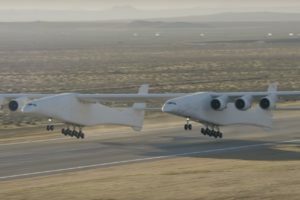 The company had originally been targeting late 2017 as the date when it will finally start sending crewed flights to space. However, it appears that the schedule was slightly over-optimistic and that crewed flights could start as late as 2018. Blue Origin is seeking to start commercial, tourist flights to space come 2018. However, before it makes that happen, it has to prove that its rockets are capable of carting would-be tourists to space (and bring them back safely) through a series of test flights. The company is optimistic about starting the commercial, tourist service in 2018 itself. However, the test flights could be delayed and may shift into early 2018 from the previously decided schedule of late 2017. 2017 testing isn’t out of question/unfeasible just yet. Bezos merely said that he doesn’t think it’s going to happen in 2017, although it was still possible. He said this while speaking at Blue Origin’s exhibit at the 33rd Space Symposium, which featured a New Shepard propulsion module. Bezos took the time to stress on the fact that Blue Origin would not take any shortcuts, or rush things with the test flights THe long and short of his statement was that the company would start sending humans to space when it was completely satisfied with its own capabilities of doing so safely. He also said that tickets for the flights will go on sale around the time when the company is ready to send people to space. No word on the pricing was made available although it is very likely to run into hundreds of thousands of dollars. Bezos’ statement is quite intriguing in respect to the schedule other space aviation companies have hit upon for crewed flights as well. SpaceX for example, was initially targeting 2017 as well however, it later shifted its dates to 2018. Similarly, Boeing’s CST-100 Starliner is also eying 2018 as the date for potential manned flights into space. It will be interesting to see if the companies attempt to be competitive in their prices. Blue Origin’s has always cited its track record for the relatively higher prices it charges for sending satellites into space. If the worse comes to the worse and come competitor offers cheaper tickets, it could well resort to that again — after all, the millionaires and billionaires who are likely to shell out hundreds of thousands of dollars for space voyages, aren’t likely to scrimp on account of money. Cost could become a major factor later, however that would need space flights and space tourism to become a lot more common.